I'm looking to emulate this Beatles cover, but only with one person. Where only half of the face of the subject is lit. How is this achieved without the background being lit? Would I use a snoot or Cinefoil instead of barn doors to control the flow of the light? A snoot is one option. As is a flag. Hang a black background about 10ft behind the subject, point the light 90 degrees or so to the subject, and flag any light off the background. The brighter the light, within reason, the easier it is to pull this off. It will also help to put black material to the opposite side of the person being lit. This will keep reflections and ambient light down. This would best be done with what you said, using one light, a snoot or foil, black back drop, and a french flag? I don't know how it's "best" done. The way I mentioned is the way I'd do it. There are various ways to do it. First, you need control of the environmental lights. A dark room or one that can be made dark. Fewer light "leaks" is better. Second, you need a single "soft source". 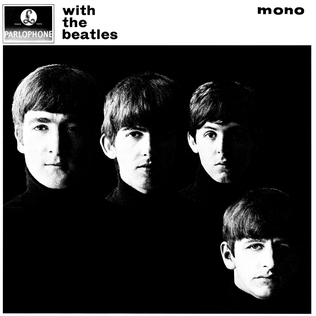 On the Beatles cover, the light was somewhat harder - on your other example the light was measurably softer. Look at what Holshevnikof calls the TRANSFER ZONE - the places where dark becomes light. The narrower the area of that transition, the harder the light source. It's somewhat hard on the Beatles shot. Noticeably softer on the single portrait. For the single head shot, I'd suspect they used a small or medium soft box positioned at a distance where it's light emitting surface is generally about the same size as the object being lit. Third, you need to be careful considering your subject to insure that this very harsh and shadow casting technique will flatter them. The harder the light, the more acute the angle, the more you'll have elements like blemishes and bumps cast SHADOWS that will emphasize them. Note that both subjects in these shots are YOUNG. THis kind of lighting is kinder to the young, than the old. Yea, if they're old, just turn off all the lights. Works GREAT! I know you're joking, but for the newbies, you should also know that in reality, often the reverse is true. Rent the DVD of the Eagles "Hell Freezes Over" concerts. The band guys are either in or approching their 50s - notice the reverse shots where you're looking out at the audience. A freekin giant ROW of footlights coocooning the bands faces with light from all angles INCLUDING UP. Nothing like it for filling in bags under the eyes and making sure every skin droop or fold gets lit from it's surface right down to the full depth of any crease or crink. Age defying makeup via lighting! They did the same thing with The Stones in Shine A Light. The whole front edge of the stage including the catwalk is lined with soft footlights. I thought the lighting was well thought out on that one. A lot of hard lighting above and behind and soft light up front. That being said, it'll take more than good lighting to get rid of the cracks and wrinkles to disappear with those guys. I still love 'em though!